Sometimes I get bored with the food I eat. The hardest part for me is with the things that are "healthy" for me. I think, "Oh no, I can't get bored with this! I have to have it every day to stay healthy." Well, I'm pretty sure that's the equation for instant boredom. 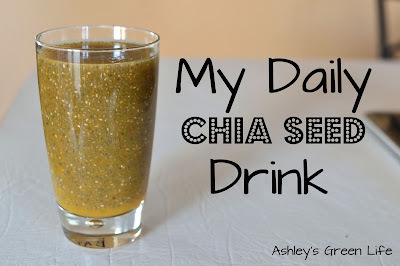 Enter my "Daily Chia Seed Drink". I love this drink and I've had it every day for several months. 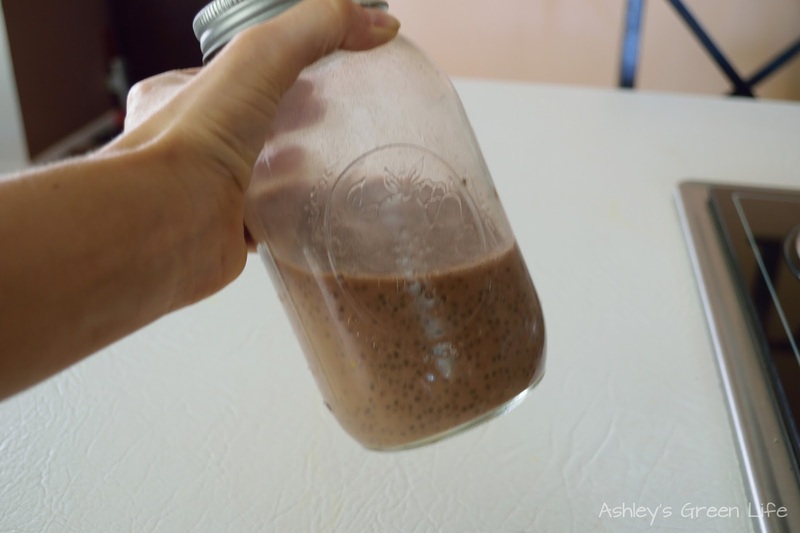 It's kind of like a healthier lemonade that I made with lemon juice, water, chia seeds, and stevia. It packs 15g of fiber (5g per Tbs.) and 9g of protein (3g per Tbs.). They also contain more potassium than bananas, more omega 3s than salmon, and more antioxidants than blueberries. 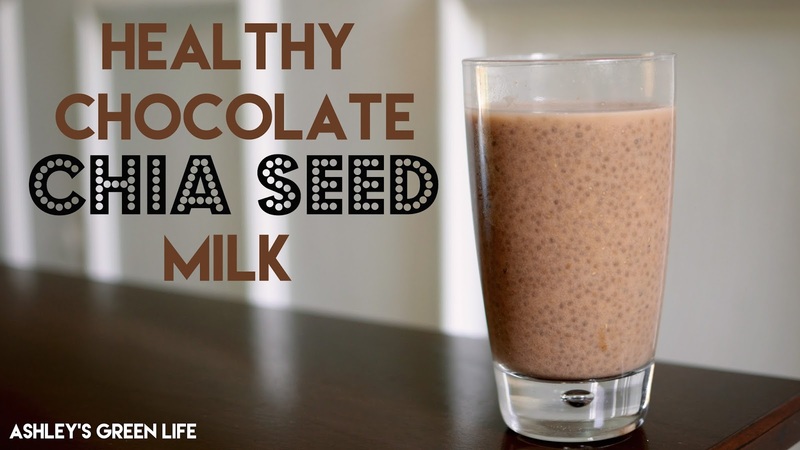 Picture my tyep-A brain knowing all these facts: "Must keep drinking chia seeds! Must keep drinking!" But after a while, I found myself making this drink less and less, so I knew it was time time for a change. 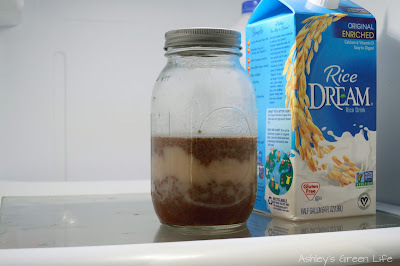 With it being summertime, I was craving something cool, creamy and sweet...maybe chocolate milk? Not exactly the most common treat you think of when it comes to summer, but for some reason it sounds great for me. 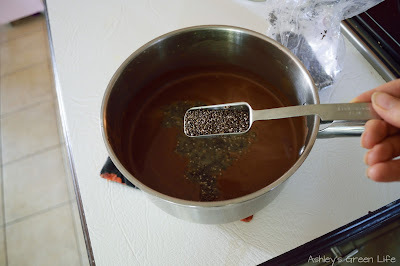 So here's how I've come up with a way to keep drinking my chia seeds daily while also satisfying my sweet tooth in a sugar-free, vegan kind of way. Flavoring of choice: Chatfields's Cocoa Powder. 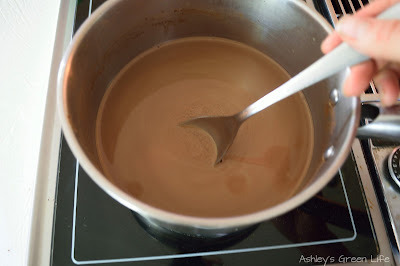 Anytime I've made chocolate milk or hot chocolate in the past I always use Ah!Laska Chocolate Syrup, but I've found it takes quite a bit of syrup to achieve the chocolate flavor I like, which means quite a bit of sugar too (since the syrup contains sugar). So when creating this recipe I wanted to find a cocoa-flavor without the sugar, so I turned to Chatfield's Cocoa Powder. 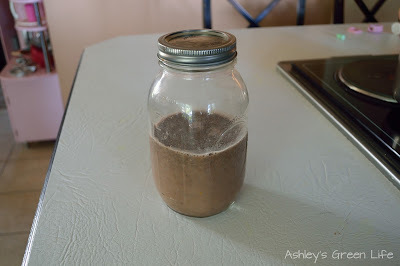 This is my favorite cocoa powder, that's no-GMO, and unsweetened. 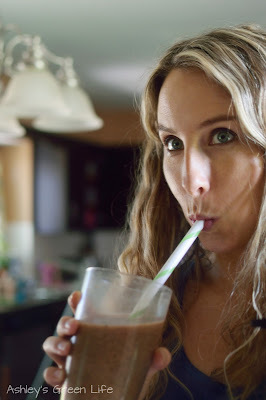 You could use carob powder or raw cacao powder, but personally I've found I had to stop using raw cacao powder because the effect it was having on me (jittery, heart racing, trouble sleeping, etc.) I'll explain it more in a future video, but for now, I've been loving using cocoa powder instead. 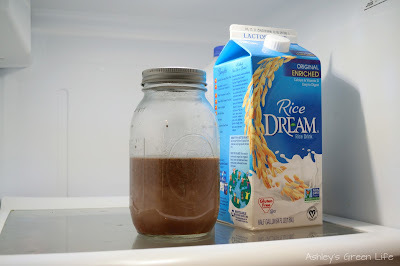 Non-dairy milk of choice: I like rice milk for this recipe, but if you like coconut, almond, or cashew you can use those too. Try to find one that's low in sugar or no sugar added to keep the sugar content low. If you've got some homemade non-dairy milk that works fine too! Sweetener of choice: Stevia! Because it doesn't bake well, stevia isn't often my go-to for replacing traditional sweeteners like cane sugar or coconut sugar, but it goes great in drinks. 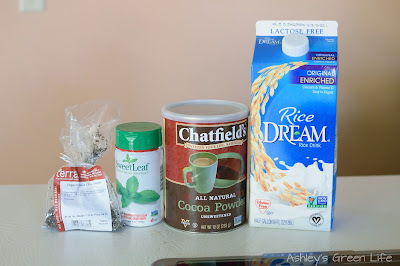 So anytime I want to make a lemonade or in this case chocolate milk, stevia is my sweeter of choice. I like this brand of SweetLeaf Stevia the best because it doesn't have any weird other ingredients and it's no-gmo. Now you know the ingredients, let's make it! 1. 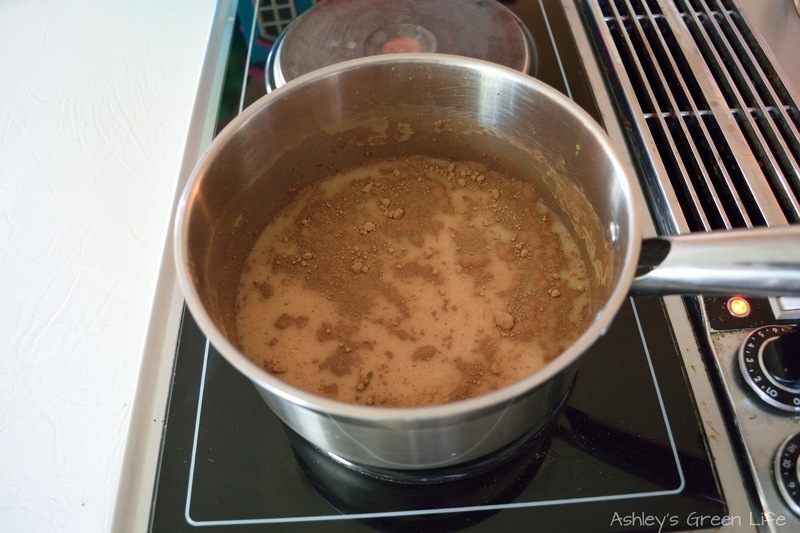 In a small sauce pan, combine the rice milk, cocoa powder and stevia. 2. Warm until all the ingredients have combined and it looks like hot chocolate. 3. 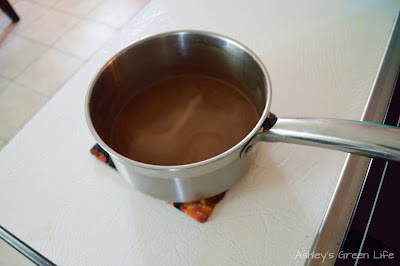 Remove and from the heat and let it cool for 5-10 minutes. 4. Add in 3 Tbs. 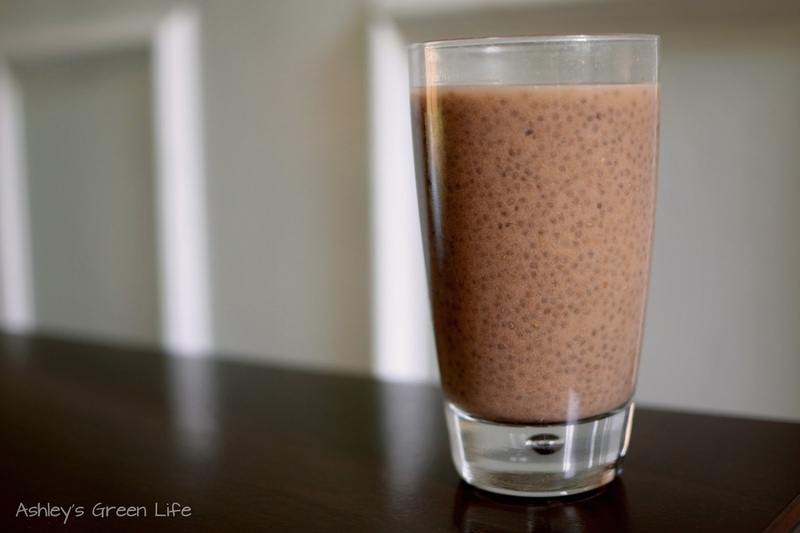 of chia seeds and stir it up. 5. Pour into a glass or mason jar with a lid. 6. Refrigerate for an hour or until it's cold. 7. When you are ready to drink it, just shake it up to get it mixed up once again and drink up! my favorite time of the day to have this! If you're new to chia seeds and that seems like a lot of chia seeds to drink feel free to drop the amount down to 1-2 tsp. if you would like. So that's how I'm changing my up chia seed routine. Obviously this version has a little more calories (from the rice milk) than the lemon+water version does, so I'll try to alternate them out from time to time, but at least I've got a little more variety, which is always nice. 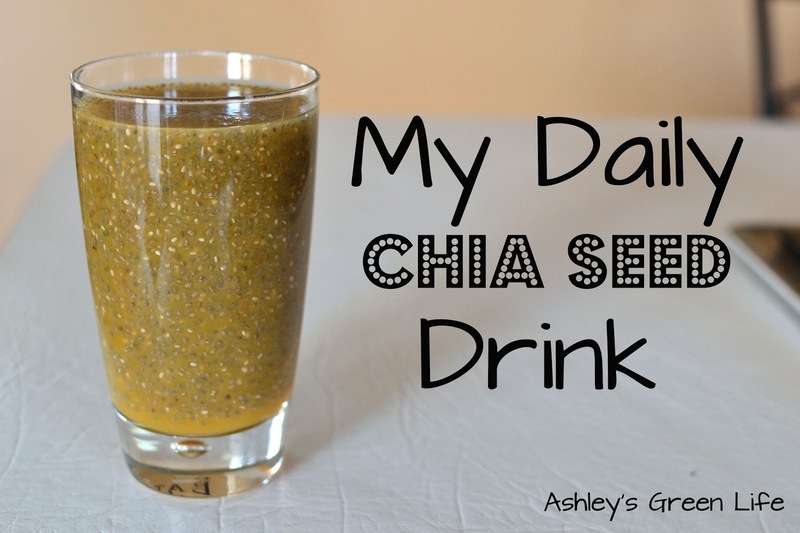 Have you ever tried a chia seed drink? What's your favorite flavor or recipe with chia seeds? Or have you ever had to "revive" a healthy habit to keep it interesting? Share below!